Located in the heart of Bangkok's business district, in one of the most dynamic and renowned areas of the city, this business centre offers exclusive office solutions. Elegantly furnished, these office spaces are provided with a full range of facilities and services and a professional staff supporting and assisting your company in your daily activities, so you can concentrate on you core business while they take care of all the rest. The business centre is well served by public transport and is easily accessible. The centre is in Watthana. You can easily access to the centre by train at Thong Lo Underground or by bus. It is just few minutes walk to the bus station and train station. The centre is in a very convenient location. The centre provides cleaning services, rooms provide a comfortable space for private calls, meeting room, high speed internet, fruit juice and roasted coffee for you to enjoy and public area for you to relax. Office space prices ranging from ฿3000 - ฿20000 per month. A fully-furnished co-working space. The interior is modern with splashes of colour. Tea and coffee is provided. There is a conference room that can cater up to 12 people. Multilingual staff are on hand to assist with your business needs. The breakout area features comfy seating. Situated off Bangna-Trat road. The space is easily accessible by public transport, the closest bus stop is a 6 minute walk away. For those who drive, there is parking available. Within a 10 minute stroll of the space, there are a variety of restaurants, cafes, bars and hotels. Suvarnabhumi Airport is a 28 minute car journey away. This property is situated on Bangna-Trad Road, ideal for business and expatriate families due to its proximity to Bangkok Patana, the British International School in Thailand. This centre offers a range of workspaces to suit your needs. This centre provides great views of Chatuchak Park and provides flexible serviced office space. A 20-minute drive from Don Muang Airport the area is full of shopping, leisure and business opportunities. Here are fully furnished and serviced offices, in an elegantly decorated building right in the heart of Bangkok. The centre features quality office furniture, a reception area, a dedicated professional support team and fantastic view of the city. The offices are strategically located in one of the most prestigious districts of Bangkok, not far from major hotels, and fashionable shopping and dining, and right next door to a major department store. The location has easy access to the city's highways and is two minutes’ on foot to the BTS Sky Train. 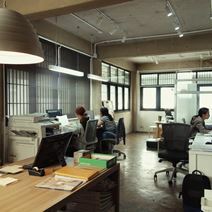 Providing excellent equipment and facilities for those who are seeking for a working space with a home-like atmosphere, this space aims to welcome freelance designers to share the experience and inspiration that makes up this co-design building. Located just five minutes away from BTS Chidlom in Bangkok, this centre is within incredible proximity of several retail outlets, coffee shops, hotels and luscious parks. Located adjacent to the BTS Wongwien-Yai station, this centre is one of the first fully-furnished serviced office spaces in the Thonburi zone. A modern loft area, this space offers both coworking and private offices - a perfectly comfortable environment in which your company will thrive. Shopping opportunities line the streets surrounding the centre, with an ideal amount of space for start-ups and established businesses alike to call this area home. Close to various handy transport links, as well as restaurants and other local amenities, this distinctive serviced office centre offers a serene business atmosphere. An all-inclusive rent covers all costs, and the space is available immediately. The workspace is close to Phetchaburi MRT station, express ways and the express boat. It’s also near the Makkasan Station Airport Rail Link (ARL). The offices are modern furnished and you are able to use the Wifi as well as there is a staffed reception if you need any assistance. You can go for lunch out to authentic Thai restaurants or western options like the Italian Big Mama or Choke Chai Steak House. With a bar area on-site for all tenants this business centre understands the need to relax away from your fully furnished and equipped shared office space. Strategically located on New Petchburi Road, the business centre has convenient access to all of Bangkok’s business districts and a meeting room suitable for up to 15 people. Conveniently located in one of the most prestigious areas of Bangkok, this brand new building offers ideal office solutions for companies and entrepreneurs. It consists of stylish offices, spacious meeting and conference rooms and business lounge and is close to famous hotels, restaurants and shops. Within walking distance of the skytrain station and of the railway station, this building benefits from excellent transport links and is easily accessible. Stunning panoramic views of the Chao Phraya River are available from these flexible serviced offices within walking distance of the Silom Galleria. The building itself has wonderful amenities with a range of retails shops, cafeteria, florist, spa and beauty salon. Conveniently located office space to let at economical rents - this is unbeatable value for money in Bangkok. 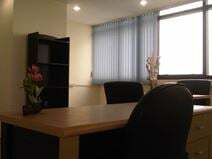 Offices in this business centre come fully furnished, and have strong security. The centre is conveniently located, being 5 minutes’ from the nearest toll way entrance, to beat the Bangkok traffic, and with direct access to Payathai BTS Skytrain station, which is soon to become part of the airport express link. Also in the area is a museum of traditional Thai antiques. Fully-furnished serviced offices are on offer in this central Bangkok space. You can benefit from one easy cost each month, with no worries about start-up costs, initial overheads and the fear of building a business alone - this space provides support and knowledge from the reliable administration staff. The central location means you'll always have choices for lunch and dinner - a large number of restaurants and cafes surround the local area, and plenty of train stations are within walking distance. The building is convenient for Hua Lamphong central train and subway station, too, and road users will find useful parking space on the second to 10th floors. A host of amenities to take clients to, from five-star hotels like Siam Kempinski Hotel Bangkok to shopping centres like Siam Paragon and Siam Discovery, make it an excellent all-round choice for businesses. The centre based in the heart of the city has air-conditioned serviced offices available. You can choose between an office with window & non window, depends if you prefer to work with natural light or not. Very well connected to public transportation as it is close to the mainline train station and surrounded by many restaurants and hotels. A flexible office solution, allowing you to meet the changing needs of your business. This centre offers fully serviced offices, featuring reception services and building systems management, allow a high degree of flexibility in the duration of your lease, with a straightforward and common sense contract. 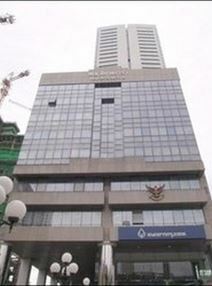 The centre is strategically located, in the new CBD area of Bangkok. It has convenient transport links, with easy access to BTS Chidlom Station, and is near prestigious international hotels. 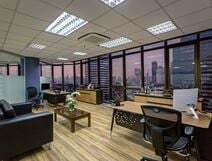 Conveniently located in the heart of Bangkok, in the dynamic and renowned business district of the city, this modern business centre offers fully furnished offices, decorated to a high standard and with great attention to details. Available in various size, these offices can accommodate any of your needs and respond to any of your requirements. The exclusive location, close to leading companies and to the station, will definitely enhance the image of your company. This business centre is set on the fifth floor of this impressive building, which is located close to many quality hotels, restaurants and shops. Excellent parking is also available. Virtual office, dedicated desk, hot desk, and private office options are available at this centre. Meeting rooms are well-furnished with A/V gear and conference facilities. The kitchen area is well-equipped with a fridge, microwave, and tea and coffee facilities. Sizeable windows offer fantastic views of the surrounding area. Breakout areas feature relaxed seating and quirky fixtures. Located at the intersection of Ploenchit Road and Langsuan Street, in the centre of Bangkok’s CBD. The building itself comprises of both retail and office space. There is a fantastic range of cafes and restaurants. There is also a bank, fitness centre, and pharmacy. BTS Chidlom station can be reached from the building via a link-bridge. Suvarnabhumi Airport is a 30 minute drive away. In the booming new commercial district of Ratchadapisek you will find this centre which offers a range of virtual and serviced office solutions alongside seminar and meeting rooms. Equipped with video conferencing, administrative support services, high-speed and secure internet connection, ergonomic furniture, state-of-the-art telephone and printing systems, and IT support your business will succeed here. Connected to MRT Rama 9 station across the street as well as two malls that provide access to food and beverage facilities, banks and retail shops. These serviced office suites are ideally located in the heart of Bangkok, and are close to shop, hotels, banks and more. The suites have been thoughtfully decorated to promote a peaceful and comfortable business environment. A host of business amenities is available. These brand new, furnished serviced offices offer fantastic amenities from high speed wifi, to a security system and professional consultant services. Offices are available to cater small businesses of two people all the way up to eight, with meeting and conference rooms designed to fit up to 12. Situated in Green Tower in Khet Khlong Toei, there are a wide variety of facilities located nearby such as shopping malls, convenience stores, banks and ATMs, as well as a plethora of restaurants, bars and cafes. Less than half an hour from central Bangkok and the famous Queen Sirikit Park, this centre provides great accessibility to all the places you may need to visit as well as access the BTS Thong Lo within 10 minutes drive. This centre is situated at eth Ratchada-Rama 9 intersection, with excellent public and private transportation links. Offering a range of offices and facilities, this centre boasts high ceilings and an efficient design. Situated in the Rama 9 Central Business District in Bangkok on Level 32, this business centre comes fully equipped with a high quality fit-out of superior quality, ergonomic furnishings and fittings. Clients of the space benefit from quick and direct access to Phra Ram 9 MRT / Rama 9 MRT Station and the centre provides a range of serviced offices, modern meeting rooms and video conferencing services. 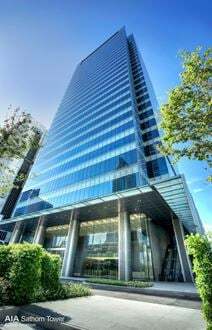 Office space for lease in a landmark tower, strategically located in Bangkok. This building has direct access to major business and shopping districts of the city, including a major up-market shopping centre. It offers stunning views of the capital and car parking for tenants. This centre is situated on the 12th floor of this 30-floor building. Set in the heart of the city centre, this well equipped serviced office centre is close to many fine restaurants, bars and much more. This centre provides flexible office suites suitable for a range of business sizes, clients are offered the flexibility to expand their space as their business grows. Commuting to and from the office is both quick and convenient; Thonglor and Ekami BTS Stations are within easy walking distance, as well as MRT Klongtoey and several bus connections. There is a fantastic selection of local amenities within close proximity to the building. Opening soon this centre will be housed on the 20th floor of this iconic building, adjacent to the new Stock Exchange of Thailand. The local MRT station is within walking distance as are a host of amenities. An exceptional work-space offering private offices, hot desk and dedicated desk options. High speed Internet keeps you on the move. Meeting rooms can be booked. Situated on Ratchadapisek Road. Sukhumvit MRT Station is 8 minutes' walk away and BTS Asok is three minutes away. It is a 33 minute drive to Don Mueang International Airport. Close-by, there are countless restaurants, cafes, bars and hotels. Based just a few minutes away from Ratchathewi station in eastern Bangkok, this office space allows creators to come together to produce incredible results. Coworking desks offer the opportunity to collaborate with people from all industries in a innovative and comfortable environment. Numerous cafes and restaurants line the streets, offering plenty of choice for lunch and post-work entertainment alike. 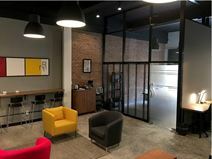 Within a five-minute walk of BTS Saladaeng or MRT Silom this building provides a choice of coworking or serviced office space with access to meeting / workshop room. Modern office solutions in a prestigious location in Bangkok. This fully serviced business centre features cutting -edge technology and boasts features including a ""remote receptionist"" option, allowing tenants to work away from the office, customizable meeting rooms and a 40-seat video conferencing room. The offices have easy access to the expressway, the BTS Skytrain, and are near Bangkok's premier retail and financial district. Opening in November. Sizeable windows provide superb views of the surrounding area and enable ample natural light to reach the space. There are well-furnished meeting rooms that can be used. Frequent professional and social events are held. High speed WiFi is accessible throughout. Situated in the core area of Bangkok's financial district, in Empire Tower. The space enjoys direct access to Chong Nonsi BTS sky train station and Sathorn Bus Rapid Transit Station via a walkway. Close-by there are numerous shops, bars and restaurants. This excellent office centre is located in the middle of Bangkok's CBD, on Silom Road. It is centrally located overlooks the beautiful Lumpini Park. You cannot get a more prestigious business address than this. 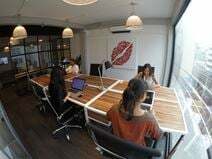 Ideal for freelancers, entrepreneurs and start-ups this co-working community is located in the heart of Bangkok"s CBD, a 20-second walk from BTS Sala Daeng. Open 24/7 tenants benefit from private offices, hot desks, meeting rooms and a range of networking events. 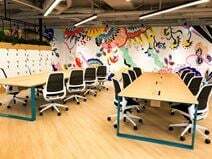 A space designed for college students and freelancers due to its close proximity to a number of education facilities and college campuses. Offering a centre that's suitable for studying and brainstorming with a number of desks to choose from. Close to everything you could want and need, with hotels, cultural venues, retail store, and food and beverage options within walking distance as well as easy access to parks and public transport for ease. Situated in GMM Grammy Place, Asok this centre has fantastic views of the city from it's upper level location. A community network awaits you with it's attractive, like-minded members to support business life in Bangkok. Offering a range of spaces for your to utilize from workspaces to offices, meeting rooms and a photo studio so you can be as creative or executive as your business needs. Connected to two metro stations with a variety of amenities located nearby, this centre is a great place to make your business's home. Opening soon - The office space is an ideal home for teams of all sizes and it is located just minutes away from the Chong Nonsi station. Furthermore there is nearby parking available as well as they offer fully stocked printing stations and soundproof phone booths to maximize your time. After work, the Sathorn neighborhood boasts an endless array of restaurants, retail shops, and entertainment options. With an ideal location near BTS Chong Nonsri and close to major transport links, this brand new serviced office provides a range of workspace solutions, along with a host of business support services, including high speed Internet. A prestigious address, right in the middle of Bangkok's CBD. This business centre boasts the highest standard of services and facilities. The location is ideal, right next to an MRT subway station, and with easy access to the expressway. The area is home to many major financial institutions, embassies and luxury hotels. This center is situated within one of Bangkoks biggest business districts and is only 30 minutes from Bangkok Suvarnabhumi International Airport. 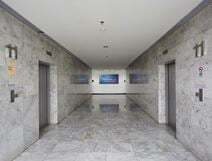 Close to the finance district and surround by a variety of shopping malls, this 17th floor center is part of a 30-story office building that provides fully furnished offices and meeting rooms. Find your new office space in this brand new, fully functional co-working space in Bangkok that has the vision to connect businesses throughout South East Asia. A hub for startups and entrepreneurs from all fields this space is filled with a variety of workspace options from private office to co-working and virtual office space. Boasting a variety of facilities including meeting rooms, a professional photo studio, co-living capsules for those much needed afternoon naps, silent booths and an in-house bar and cafe serving snacks and drinks all day providing you with more than most office spaces. With a receptionist and community managers on site every weekday from 8am-8pm and printing facilities for your business and distribution needs there's no need to any further for your new business' home. Find this space just seven minutes walk from the BTS station but have the freedom to access it via all means of transportation. With a variety of chic and classy cafes, bars and restaurants nearby within walking distance you'll never be short of options for business meetings, networking catchups or lunch options. Spa and health clubs are also located nearby for those moments when you need a little rest and relaxation. A strategically located business centre, in the heart of Bangkok's CBD. The lease terms are flexible, depending on your needs. In the vicinity of the centre are two BTS Skytrain stations, enabling you to get around the city with ease, one of them only a three minute walk away. The centre is also close to the JW Marriot Hotel. This impressive business centre offers modern office spaces and virtual office solutions, to accommodate the needs of companies and entrepreneurs. These ideal office solutions can be tailored to accommodate companies of various sizes and are ready-to-use so you can start working from the very first day! Fully furnished, sophisticatedly decorated and technologically equipped, they are provided with all the services and facilities needed to run a successful business: high speed internet connection, video-conferencing facilities, printing equipment and secretarial services. This business centre is surrounded by international leading companies, luxurious hotels, numerous amenities and is well connected to the airport and to the major attractions of Bangkok. This serviced office occupies a prestigious landmark mixed-use development, which features a rage of amenities including a multi-storey shopping mall. With wonderful views, these are comfortable, modern offices designed for modern business. The transit system is on your doorstep. 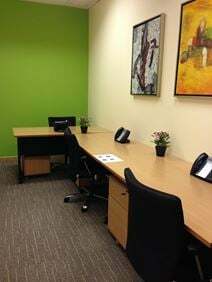 Situated in the heart of Bangkok within a prime business area, this modern spacious office can accommodate up to 4 workstations, and offers a range of business support services and facilities including super-fast internet and dedicated reception staff on hand to assist with day to day tasks, greeting clients and answering telephone calls. The space is just a few minutes walk away from BTS Phrom Phong Station. Situated on the 30th floor of this 45-storey building, this office space provides stunning views of Benjasiri Park. The building is also home to the six-storey EmQuartier Shopping Complex and a number of financial and media companies that include J Walter Thompson and Marsh PB Co. This penthouse office space is situated in a 17-storey commercial Grade A building in the Sukhumvit CBD. As well as providing ready-to-go workspace the building also contains three floors of shops, cafes and restaurants. A modern office block in a prime Bangkok location this fully serviced office space is situated on the 25th floor. With both short- and long-term contracts available tenants also have access to meeting rooms. 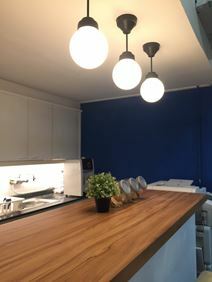 In the heart of Bangkok, this beautifully furnished, modern, flexible office space is easily accessible via the sky train and the sky walk, just a short walk from Phrom Phong Park. Day offices and meeting rooms available. Offering professional support and modern facilities in an area surrounded by local bars, restaurants and cafes, this centre aims to aid any tenants in growing their business, regardless of the stage it's currently at. Flexible leasing terms and cost-effective pricing means you only have to worry about one payment per month. The centre's proximity to Phrom Phong station means your daily commute is a breeze. Based in a cutting-edge building which is dominating the skyline of Bangkok. The Centre offers you a wonderful view at Bangkok including starting and landing planes. It is well connected to public transportation as the business centre has their unique access to the super-swift BTS Skytrain from BTS Bangna station as well as it is close to the Suvarnabhumi Airport. A Bangkok business centre with a comprehensive range of support service and features. This centre comes fully furnished and equipped, and has a range of office sizes, for different size businesses. Other features include virtual offices and various meeting rooms. The area has numerous international hotels, and the centre is conveniently serviced by public transport, being 5 minutes’ away from Nana BTS station on foot. With a prime location in the heart of Silom business district and five-minute walk from the BTS Skytrain this strategically placed building provides a choice of two unique offices with excellent access to public transport. The first is located on the first floor and the second private office space is on the fifth floor and offers views of the Silom skyline. Both offices benefit form an abundance of natural light and a wide range of local amenities within close proximity. 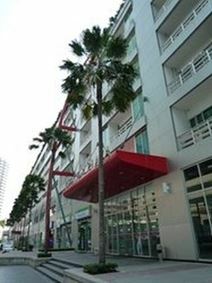 This centre is located in Surawong Road, close to transport links, hotels, restaurants, hospitals and more. The centre offers 12th floor office space with modern interiors and flexible terms to suit your needs. 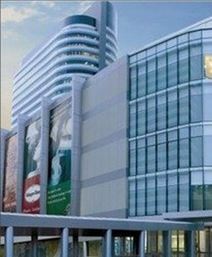 This centre is situated in the heart of Bangkoks commercial district and is close to many public transport connections. These offices are located on the 17th floor of this mixed-use facility, which boasts ample parking and a full range of amenities. Topped with a rooftop barbecue area this impressive serviced office and dynamic co-working environment is situated in the middle of Bangkok’s prestigious central business district on Thonglor Road. Coworking desks, several fully equipped meeting rooms, private office space with included high-quality ergonomic executive seating and Danish design tables are just a few of the highlights of this space. Fully furnished and equipped offices available for lease on Bangkok's prestigious Wireless Road. This is a newly developed complex that features a major international hotel. The building is just opposite the US Embassy and is within easy walking distance of both Sky Train and MRT stations. Superb support services in this strategically located business centre. 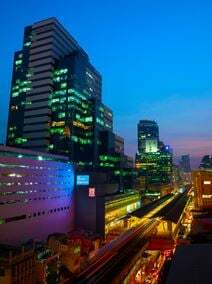 The centre is part of a complex on the exclusive Wireless Road, which is in the heart of Bangkok's number one business area. 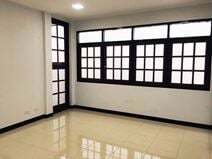 It has convenient traffic access, and is close to a BTS Skytrain station. Serviced offices available for lease in a chic and a modern building in the heart of Bangkok's CBD. The business centre features state of the art telecommunications infrastructure, security services, secretarial services of the highest standard, and video conferencing rooms. The centre is located near embassie and the famous Lumpini Park. It is close to the Skytrain, providing a 30 minute ride to the international airport. This iconic tower enjoys impressive views across Bangkok, and boasts an impressive tenant list that includes many international corporations. Located in the heart of the city's CBD, which easy access to public transport. The building is also home to a great range of facilities, including a gym and hotel. Situated in the central business district, surrounded by embassies and international companies, this centre offers excellent serviced offices in a comfortable and friendly business environment. Set in a prime location in the heart of Bangkok, this serviced office is situated in a peaceful area close to major embassies. Offering a range of excellent business support services, this centre also benefits from a cozy business lounge offering unlimited beverages to clients.